Swedish DJ and producer Avicii was just 28 when he was found dead on Friday (April 20). He had long suffered from health issues, undergoing hospitalizations and forced set cancellations until he retired from touring in 2016. His music will be his legacy, a life dedicated to spreading joy through major chords and uplifting rhythms that exponentially grew electronic dance music's popularity worldwide. He was an instrumental inspiration to many of today's brightest stars, and he struggled all the while. Today, we take a closer look at his health history. Avicii's health issues began in January 2012, when the DJ and producer was hospitalized in New York City with acute pancreatitis, a side-effect of heavy drinking. He was in the hospital for 11 days. About a year after his incident in New York City, Avicii was again sent to the hospital for similar issues while on tour in Australia. Doctors urged Avicii to undergo gallbladder removal surgery, but the producer declined, choosing instead to continue working on his debut LP True. The album was released in September of that year and peaked at No. 5 on the Billboard 200 and topped the Top Dance/Electronic Albums chart for six weeks. Though the media reported that Avicii had stopped drinking, his issues flared seven days after he released a remix version of his LP True, featuring his own remixes of the album's tracks. Avicii was hospitalized in Miami for a blocked gallbladder and was forced to cancel scheduled performances at the SLS Hotel, which had undergone a complete Avicii takeover, and his headlining set at Ultra Music Festival. Alesso took his spot at SLS, while rival deadmau5 took his slot at Ultra. Avicii blamed the reaction on his nonstop tour schedule. "My fans know that I have had issues in the past with my stomach and pancreatitis," he wrote on social media. "I woke up on Wednesday morning with serious pain but I flew to Miami anyway, hoping that it would go away. The pain was still there when I landed so I went straight to hospital. I was treated and left later that night. Unfortunately, the pain came back yesterday afternoon and I returned to the hospital where they admitted me to stay overnight." In the hospital, he learned that not only had his pancreatitis returned, but his appendix has burst. He underwent surgery to have his appendix and gallbladder removed, though he returned to touring as soon as possible. Six months after his surgery, Avicii continued to suffer from lingering health issues and was forced to cancel all forthcoming performances, including his headlining slot at TomorrowWorld, Las Vegas residencies at XS and Encore Beach Club, and a scheduled Asian tour in October. In May 2015, he broke his musical silence with a new song and video called "Feeling Good," but four months later, he once again was forced to postpone all the year's remaining performances. Representatives cited the pressures of finalizing his sophomore album Stories, released a month later, and his directorial debut on music videos for "For a Better Day" and "Pure Grinding." His team also promised a larger tour to come. “I look forward to keep being innovative with my team in leading a bigger change than just with my music," Avicii was quoted. "In moving my tour promotional responsibilities to next year, I have a great opportunity to focus on myself and spend time trying to grow up in a way I never got the chance to -- normal, or as normal as it could get. My team, label and family have encouraged me to do that and I realize not many in my position get that opportunity." After a creative road trip with friends, during which he wrote many new songs that would appear on his 2017 EP Avīci (01), the producer and DJ announced that he planned to retire from touring indefinitely. The news was shocking in the wake of his triumphant return to Ultra Music Festival. He noted his struggles with life on the road, his introverted nature and desire to spend more time creating in the studio. He thanked his fans, family, peers, partners and longtime manger Arash "Ash" Pournouri for their support and promised a final tour as a farewell to fans. "My choices and career have never been driven by material things, although I’m grateful for all the opportunities and comforts my success has availed me," he wrote. "I know I am blessed to be able to travel all around the world and perform, but I have too little left for the life of a real person behind the artist. I will however never let go of music -- I will continue to speak to my fans through it, but I’ve decided this 2016 run will be my last tour and last shows. Let’s make them go out with a bang!" He capped nearly a decade of touring with a final performance at Ushuaïa Ibiza Beach Hotel, thanking fans and friends on social media for their support in his decision. 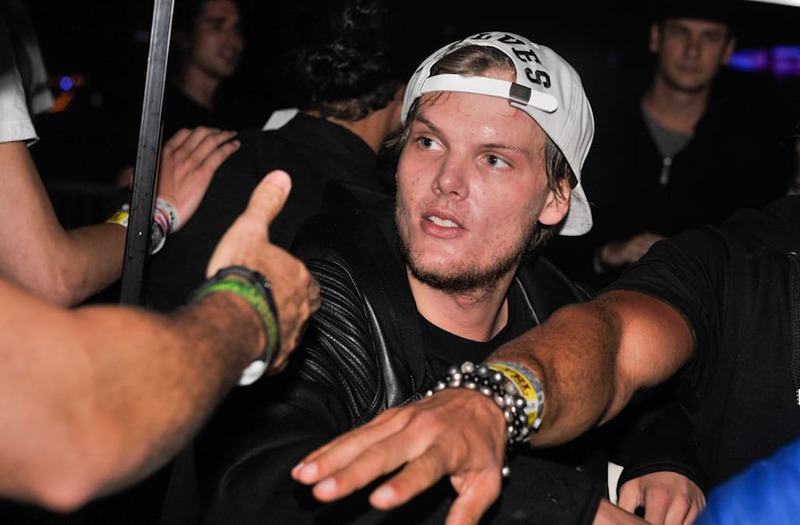 The final tour was depicted in the documentary Avicii: True Stories, released more than a year later in September 2017. Avicii's team confirmed that the producer was found dead Friday morning (April 20) while in Muscat, Oman. The cause of death has yet to be reported. Despite his struggles, artists and fans remember him as an influential beacon of creativity and positivity.